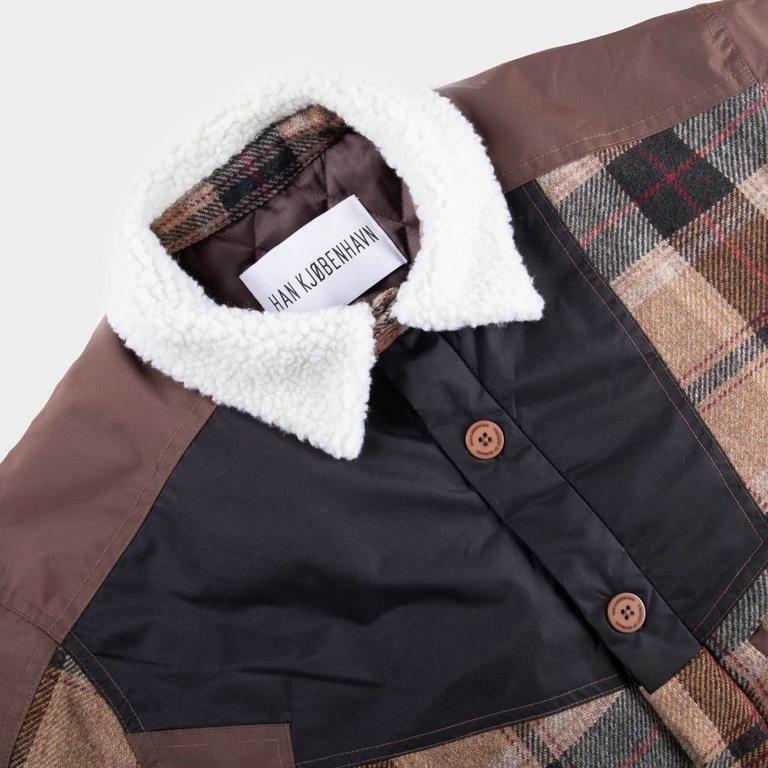 The Coach Jacket by Han Kjøbenhaven offers a loose fitted patch jacket that combines woven, soft check wool and durable nylon in a asymmetric coach jacket style. 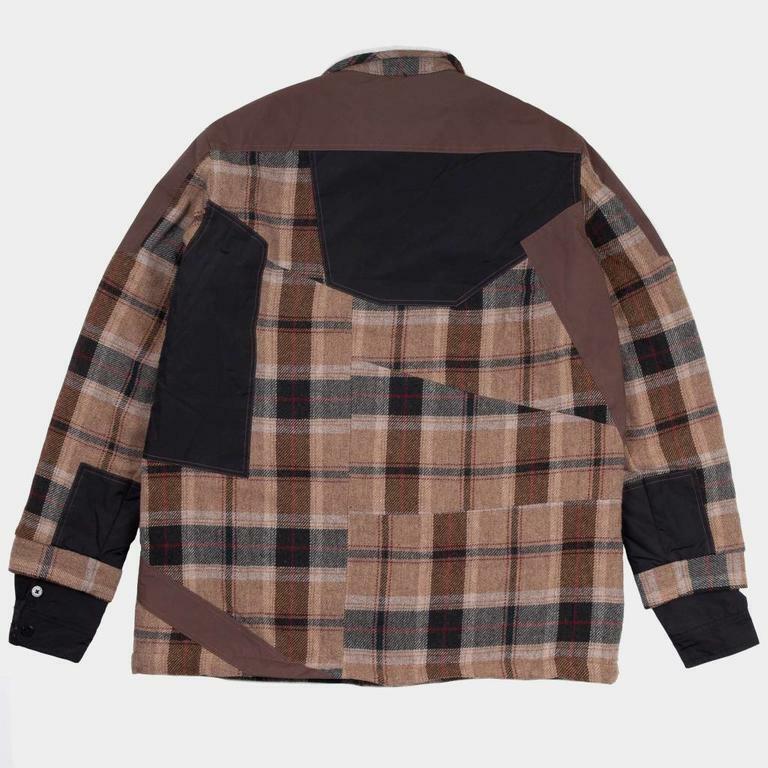 The Coach Jacket by Han Kjøbenhaven offers a loose fitted patch jacket that combines woven, soft check wool and durable nylon in a asymmetric coach jacket style. 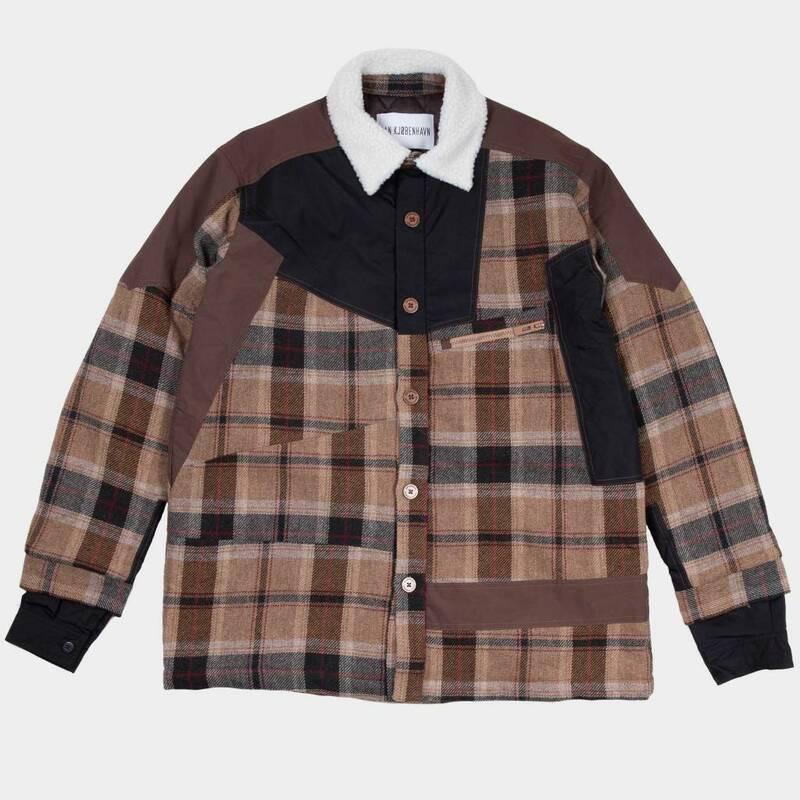 The jacket is fully lined in warm quilted padding. The large pointed collar is made with soft faux sherling upper.